Check out the 2nd episode of the Official MDMC Podcast: Marketing Leaders Insights and Advice! This podcast series features UMSL College of Business Administration students interviewing many of the amazing speakers from #MDMC19 about the latest digital marketing trends, career tips and more! 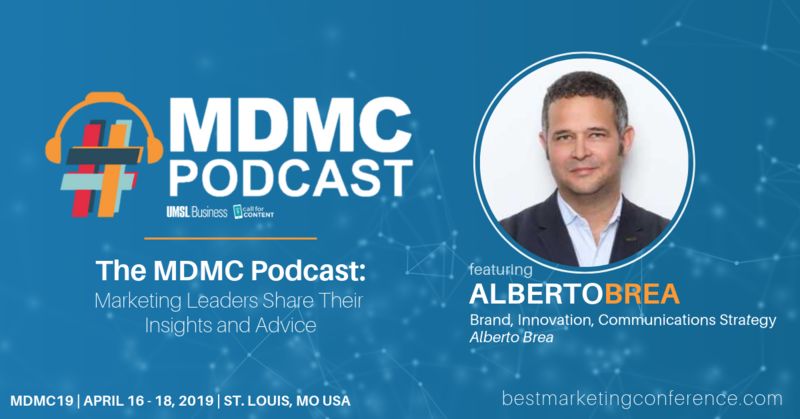 In this episode, we sit down with #MDMC19 speaker, Alberto Brea! Alberto is a Growth Strategist and Startup Advisor and he will discuss how leading brands are winning the direct to customer conversation and how to keep up with the constant disruptions in digital marketing. Listen now to learn more, and make sure to subscribe so you don't miss out on future episodes!